In Forestry news: scientists urge protection of BC’s rainforests; Temagami’s mayor seeks jobs and wilderness protection; Nova Scotia gets new airbus helicopters; and fire updates are in from BC, Alberta; Ontario; Oregon and Scotland. Finally, Pinnacle Holdings has secured Korean and Japanese markets for their wood pellets; Canadian Kraft workers vote to strike; and Weyerhaeuser’s strike vote results are still unclear. The Province has received the final report on the independent professional reliance review, commissioned by government last fall. The report provides recommendations on two aspects to improve the current professional reliance model. First, the governance of the professional associations that oversee qualified professionals (QPs), including forest professionals, engineers and geoscientists, agrologists, biologists and technicians. Second, consideration of improvements to 28 regulatory regimes that pertain to natural resource management. The report recommends restructuring the governance of the professional associations by creating new legislation and an independent office, which will bring together the five statutes governing the associations. While there are some recommendations we as a profession can support in the name of continuous improvement, others are troubling. The audits conducted as part of the professional reliance review found the ABCFP and the other four regulators in compliance with their legislation. Despite this clean bill of health, the report’s two recommendations aimed at the professional regulators are unnecessarily heavy-handed. They constrain the autonomy and independence of natural resource professional regulators while doing little to address the core public concerns raised around natural resource development and environmental protection. The report’s two professional governance recommendations could have both transformative and costly implications for a non-profit association such as the ABCFP. …These recommendations clearly do not lead to better forest management on the ground, and they fracture the critical relationship required between the professional statutes and results-based regulatory regimes that rely on professionals for their delivery. Professional reliance review report is a step forward for B.C. VANCOUVER – The Mining Association of B.C. (MABC) has significant concerns with the recently released Professional Reliance Review Report. “MABC was hopeful the report would represent the substantive submissions received by important stakeholders like the mining industry and make recommendations focused on good governance and transparency,” said Bryan Cox, President & CEO of MABC. “Instead, the report strays beyond the terms of reference, proposing significant changes to the system without the necessary justification, investigation or reference to British Columbia’s best practices to support them.” …It is the responsibility of professional associations to establish the appropriate criteria to achieve and maintain professional accreditation, adjudicate individuals against these criteria, and discipline members who fail to maintain the established professional standard. The B.C. government has released its review of the professional reliance system… The new report makes 121 recommendations on how to improve the system… “It’s really comprehensive,” said Devon Page, director of Ecojustice, calling the report “thoughtful” and “thorough”. Author Mark Haddock describes in detail the failings of professional reliance … — especially in forestry. “Most problematic are the Forest and Range Practices Act and Riparian Areas Protection Act due to the extent to which they restrict government’s authority,” he wrote. “Given the breadth of professional expertise required for forest management, government should consider whether the current laissez faire approach to the use of professionals is adequate.” Translated from government-safe language, this is a damning assertion: Haddock spends more than 10 pages detailing the ways government has abdicated its own responsibility for managing forests, putting that authority instead in the hands of industry. The Association for Mineral Exploration (AME) has concerns regarding today’s release of the final report of the review of professional reliance in natural resource decision-making. …“We are concerned that the report released today does not reflect the scope of the review that we felt we were being consulted on,” says Ms. Edie Thome, President & CEO of AME. “In fact, the recommendations are largely focused on broad-sweeping changes to 28 regulatory regimes that go well beyond governance improvements, which we believed to be the focus of the engagement. We are hopeful that the government implements only recommendations that allow for continual improvement in the oversight of qualified professionals and their governing associations, and in a way that does not adversely affect, but builds on the current standards already in practice in British Columbia. …The two recommendations concerning professional governance are expected to have a significant impact on Engineers and Geoscientists BC’s role as regulator of the professions. The first suggests that government establish an independent Office of Professional Regulation and Oversight that would oversee the five associations subject to the review, and administer their legislation. 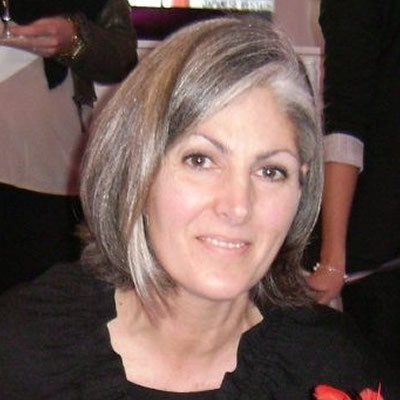 …The second proposes that government standardize, through umbrella legislation, 10 elements of professional governance… It is our view that the regulatory improvements included in the report can be achieved through amendments to the Engineers and Geoscientists Act, without creating a new level of potentially costly administration. Furthermore, we are concerned that the one-size-fits-all model …does not account for the varied size and complexity of regulators. For instance, in the case of Engineers and Geoscientists BC, where only 20% of our members work in the natural resource sector, how would such a body regulate the other 80% of our members? “This report represents an important step towards fixing professional reliance in B.C.,” said Scott McCannell, Executive Director of the Professional Employees Association (PEA). “The government’s commitment to moving forward on the two main recommendations of the report are admirable.” A significant recommendation emphasizes the need to identify opportunities to improve ministry staffing levels and resources to enhance government oversight. “Due to staffing level cuts in the past, some ministries aren’t able to meet basic levels of oversight,” said McCannell. “The government needs to improve ministry staffing levels to bring back balance to stewardship and development in B.C.” The report points to significant failings in the professional reliance model and makes clear that professional reliance compromises the public interest and resource development oversight. Recommended changes to B.C.’s professional reliance model for resource industries is “a solution looking for a problem” [Greg D’Avignon, BCBC] that could take B.C. back to the days of the Forest Practices Code, which hamstrung forestry companies with red tape. That’s how professional and business associations are reacting to recommendations released Thursday June 28 for overhauling how the provincial government regulates resource industries in BC. …COFI characterizes such an oversight office as “a regulator of regulators” that will add unnecessary layers of red tape. “Mr. Haddock’s proposals would effectively take us back 25 years to a ‘forest practices code’ system, that was ultimately rejected as unworkable due to its highly prescriptive, costly, and gridlocked regulatory scheme,” said COFI president Susan Yurkovich. …The Business Council of British Columbia (BCBC) is calling on the NDP government to shelve the report, while Sonia Furstenau, Green MLA for Cowichan Valley, is urging its immediate implementation. As trade disputes continue to brew over tariffs, China and Canada could see an opportunity to enhance trade relations, if the U.S. continues its aggressive behavior against the two countries, according to Canadian economist Paul Ferley. …”The imposition of U.S. tariffs on China and as well Canada may provide incentives for both China and Canada to see if there are more opportunities to replace that lost demand, so for Canada it’s finding more markets in China, and for China, it’s finding more markets in Canada,” said Ferley, who is the Royal Bank of Canada’s assistant chief economist. …The discussion raised concerns about the trading structure. Statistics show that the major product Canada sells to China is lumber, while China sends more machinery to Canada. Canada’s retaliatory tariffs on U.S. imports are planned for July 1, and while the target list includes items such as steel and aluminum products and maple syrup, if Prime Minister Justin Trudeau really wants to hit President Trump where it hurts, it should target coal. Ottawa should consider imposing its carbon tax on the trainloads of U.S. thermal coal that are shipped out from Vancouver’s Westshore Terminals. …A carbon tax on American thermal coal shipments through Canada would further hit an already imploding coal industry and has the potential to embarrass Trump with a failed promise to his supporters. …Former B.C. Premier Christy Clark had threatened to slap a 70 per cent carbon tax on those very shipments in retaliation for soaring U.S. duties on softwood lumber. By Pinnacle Renewable Holdings Inc.
VANCOUVER – Pinnacle Renewable Holdings Inc. announced that it has entered into two new long-term, take-or-pay off-take contracts with customers in South Koreaand Japan. The contract in South Korea is with CGN Daesan Power Co., Ltd., a subsidiary of CGN New Energy Holdings Co., Ltd, a diversified independent power producer in Asia. The contract in Japan is Pinnacle’s second with Toyota Tsusho Corporation, a trading and investing company and a group member of TOYOTA. As a result of these two new contracts, the weighted average remaining life of Pinnacle’s portfolio of off-take contracts with customers has been extended from seven years as at March 30, 2018, to more than nine years. Under the terms of the Daesan contract, Pinnacle will supply 315,000 metric tons per annum of industrial wood pellets to Daesan beginning in 2021. The industrial wood pellets will be used in a biomass power generation plant in South Korea. Testing at a northeast Edmonton neighbourhood located near the site of an old wood treatment plant found no hazardous chemicals in the top level of soil in a residential area. But a section of unoccupied land nearby was so contaminated that metal fencing was erected around the parcels Thursday. An Alberta Health official said Thursday that soil testing has been completed in the Verte-Homesteader community — located near the former Domtar wood treatment facility. “The results show no issues in the surface soil of any of the homeowners’ properties, but there were four areas of unoccupied land in the southeast corner of the neighbourhood where chemicals were found above health guidelines and that area is now being fenced off,” spokesman Cam Traynor said in an email. 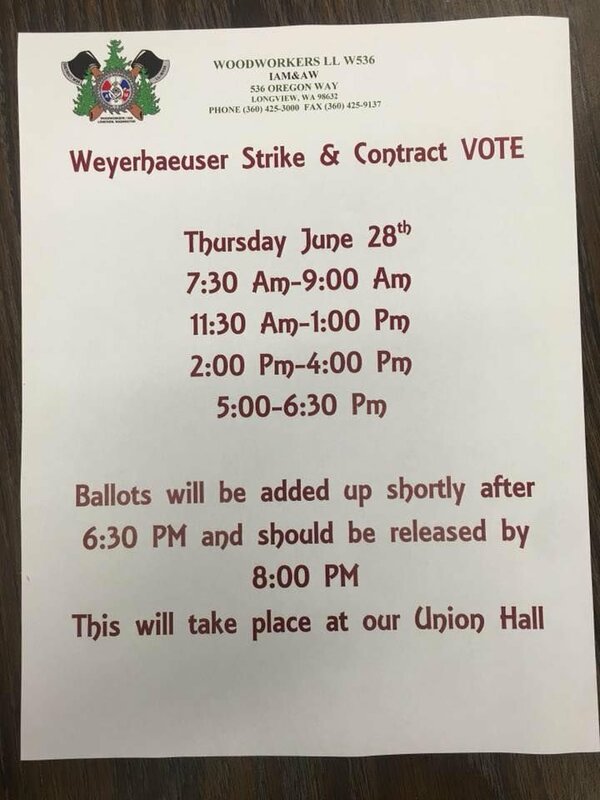 About 1,200 union Weyerhaeuser Co . employees in Washington and Oregon voted Thursday on whether to strike over stalled contract negotiations.Members of the Longview-based Woodworkers Local 536 were still counting ballots as The Daily News went to press. Even if the union votes to strike, a work stoppage would not occur until later next week or potentially the week after, they said. Weyerhaeuser employs just under 400 workers at its lumber mill and log dock in Longview.Officers at the local union hall said the two sides have already met twice for negotiations. They declined to comment further until after all votes are tallied.According to a June 21 post on the union’s Facebook page, the two sides appear to be negotiating over health care, pension contributions, wages, vacation, logging commitment levels, and mandatory overtime at the mill. New projects provide green solutions… Here are three developers who are driven by a passion for environmental stewardship. …Paper cabins: The 1995 Kobe 6.9-magnitude earthquake left 200,000 people homeless. Shigeru Ban, then a young Tokyo-based architect, responded to the housing crisis by designing the Kobe Paper Log House. Using materials like cardboard and paper that were readily available and, more importantly, inexpensive or even free, he invented the paper log construction that’s become a de facto world standard for disaster relief shelters. …Timber tower: Poised to shake up the way highrises are built, Vancouver condo developer PortLiving is taking a daring step forward in the world of mass timber construction. 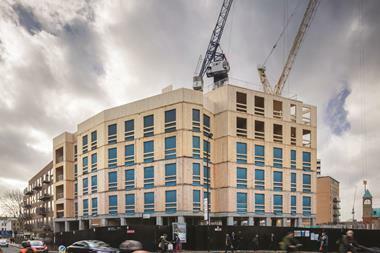 Terrace House, designed by Shigeru Ban, will comprise 12 storeys …with seven storeys of post-and-beam mass timber. The wood used to manufacture this glued laminated timber is sustainably harvested in the Kootenays. OTTAWA – Nature is at the heart of Canada’s national identity, from coast to coast to coast. Our rivers, mountains, lakes, and oceans—along with the wildlife that depends on them—are a natural legacy for all Canadians to discover, enjoy, and preserve. Federal, provincial, and territorial ministers responsible for parks, protected areas, conservation, wildlife, and biodiversity met today to advance cooperation on shared priorities to protect nature and biodiversity across Canada. The ministers agreed to a Natural Legacy Declaration, which will guide action toward meeting Canada’s conservation targets while working in the spirit and practice of reconciliation. Under the Declaration, Canada has committed to conserving 17 percent of our country’s land and fresh water, by 2020. The ministers also agreed to a new framework for transforming how Canada protects and recovers species at risk, including a focus on priority places, species, and sectors to achieve multispecies benefits. The federal government is putting up $27.5-million over the next five years for Canada’s biggest national park after concerns about its status as a world heritage site. 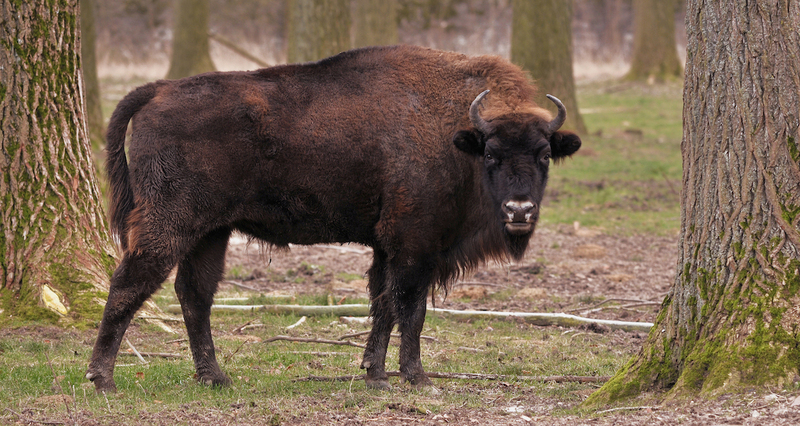 Minister of Environment Catherine McKenna announced the money for Wood Buffalo National Park, which covers almost 45,000 square kilometres of grasslands, wetlands and waterways in northern Alberta. She says the investment will support development of a plan to ensure the future of the world heritage site. 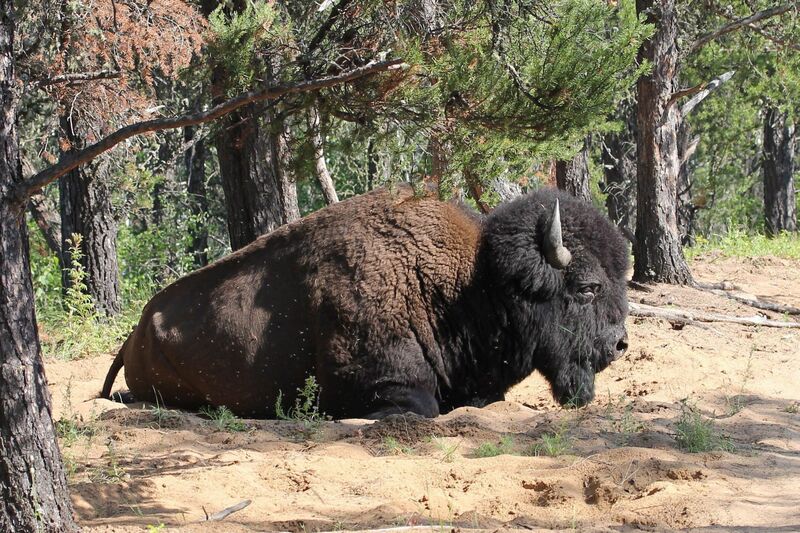 The area’s Mikisew Cree complained to UNESCO some years ago that Wood Buffalo’s environmental values are being downgraded by oilsands activity, climate change and hydro development. UNESCO investigated in 2016 and last year warned that it might put the park on its list of endangered sites. A committee issued a report with 17 recommendations and gave Canada until this year to explain how it would step up conservation efforts. A landowner complained that Interfor Corporation (Interfor) was not maintaining its roads and caused landslides into Little Cayuse Creek where he gets his water. He also asserted that government was not adequately enforcing Interfor’s maintenance requirements. The Board’s investigation determined that Interfor had not conducted adequate inspections to ensure no material adverse effect on forest resources so did not comply with the Forest and Range Practices Act road maintenance requirements. The investigation also found that government was not doing enough to determine if Interfor had complied with its road maintenance requirements. B.C. is known for its towering trees and temperate rain forests, but an international group of scientists is warning that without urgent protection, those forests are at risk of disappearing. 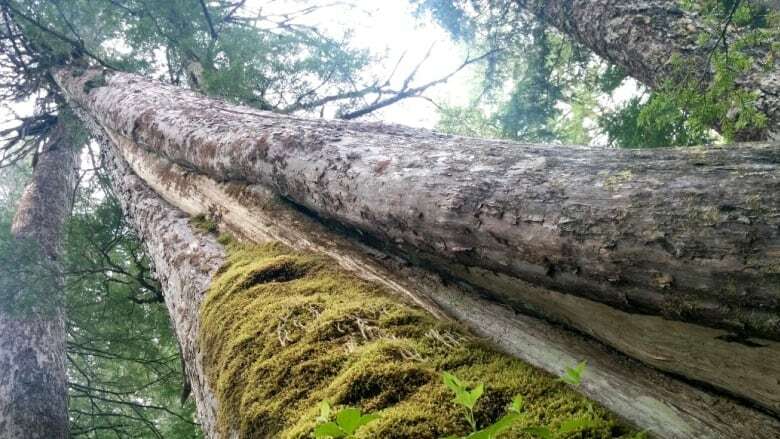 A total of 223 scientists from nine countries have signed a letter urging the provincial government to take immediate action to protect B.C.’s remaining temperate rain forests. “There are certain places that are so biologically rare and important,” said Dominick DellaSala, the chief scientist at the Geos Institute in Oregon who helped organize the letter. “The B.C. rainforests are among those rare places.” DellaSala said both the province’s coastal rainforests and rainforests further inland are dissimilar to anywhere else on the planet. Both play important roles in the preservation of biodiversity and the battle against climate change, he said. The protesters and placards are long gone. News reporters are now a rare sight in town. But the dispute over the forests of Temagami is far from over. It’s just below the surface in the small northern Ontario of 800 people that in many ways has never moved on. “If you want a placid dinner table conversation, don’t bring this up,” says local canoe builder and outfitter John Kilbridge. In 1989, he joined the blockades over the expansion of the Red Squirrel Road — which was to extend further into the wilderness and create a thoroughfare for logging trucks in the area. Kilbridge says those protests coincided with the closure of Temagami’s three largest employers — a sawmill, iron ore mine and Ministry of Natural Resources office — which many blamed on the environmentalists. 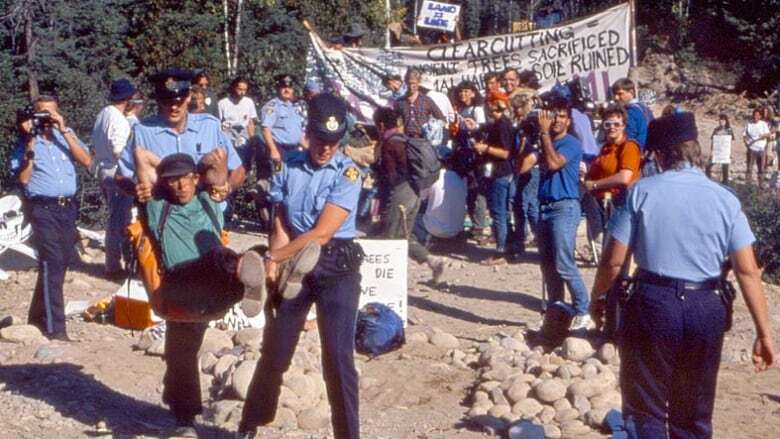 Temagami Mayor Lorie Hunter wasn’t around for the tumultuous days of the 1980s and 1990s when logging protests brought international attention to her small northern Ontario town. But she does think it’s time to look again at how the surrounding forests can be used to bring new jobs to the town, without overdeveloping the wilderness that attracts tourists and cottagers to the area. “You know, even if we end up with three or four jobs out of it, that’s big for us,” says Hunter. “We want to work with First Nations, we want to work with industry to just make more happen in the forest.” Hunter is working on forming a local forest management corporation that would take over control of the forests from the Ministry of Natural Resources. Sales of timber in stands charred in last summer’s Chetco Bar fire could be sold as early as next month as the Forest Service this week formalized its salvage plans for the 191,197-acre fire area in southwest Oregon. The forest’s final Chetco Bar Salvage Project decision lays the foundation for selling about 71 million board-feet of trees in dead or dying stands in just 4,090 acres, representing only 2.5 percent of the fire’s overall footprint. The decision, which mirrors the forest’s preferred option released last spring, focuses the sprinkled timber sales in Forest Service holdings in the Chetco and Pistol river drainages in Curry County. The decision also calls for building 13.5 miles of roads characterized as short and temporary as well as the opening of about 6.3 miles of closed roads for log hauling. Anderson-Tully Co. produced hardwood lumber for about 129 years at the port city of Vicksburg. It was sold last month to the Vicksburg Forest Products, which is spending millions to convert the plant to turning out primarily southern yellow pine lumber from tree plantations in the surrounding area. Why the conversion? Are bottomland hardwood stands – the source of the mill’s timber for more than a century – becoming exhausted? Forestland Group owns 300,000 acres of hardwood stands along the Mississippi between Memphis and Natchez. The answer to the first question is that Anderson-Tully’s 300,000 acres of hardwood along the Mississippi between Memphis and Natchez were not part of the deal, details of which have not been made public. 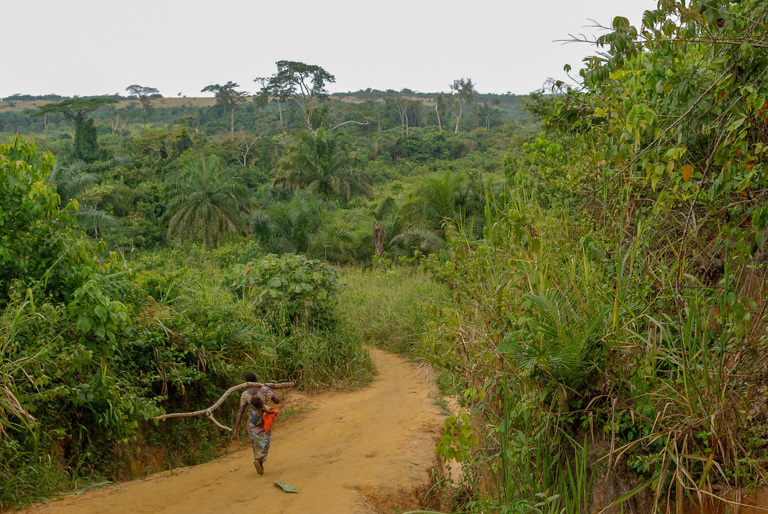 A recent analysis of logging roads in Africa’s Congo Basin has revealed that timber concessions certified by the Forest Stewardship Council (FSC) lost more blocks of untouched forests than non-certified concessions. Those patches of forest, known as intact forest landscapes, or IFLs, became part of the sustainability certification organization’s policy in 2014. At that time, FSC’s membership, which includes timber companies as well as conservation NGOs, indigenous groups, and universities, passed a measure requiring the protection of 80 percent of the parts of certified concessions that are IFLs. But when a timber company builds a road through untouched forest, it no longer qualifies as an IFL. By definition, an IFL is an area of forest at least 500 square kilometers (193 square miles) in area that bears no signs of human use. 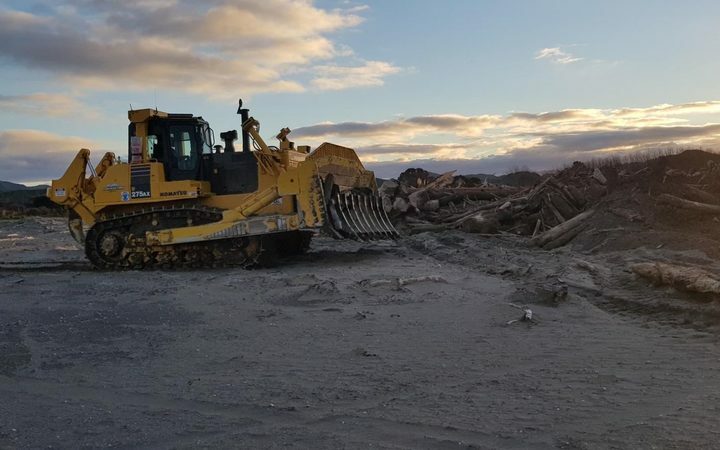 It will take up to a year for the forestry industry to find a solution to the amount of wood left over in Gisborne blocks, the Forestry Owners Association says. Heavy rain and flooding in Tolaga Bay this month left millions of tonnes of forestry debris strewn across farms and blocking rivers. The clean-up is expected to cost about $10 million, with the government providing some support. With affected farmers seeking redress through the courts, some have also been looking to the future and trying to find a solution to the problem of slash – wood debris generated by forestry and left sitting on the land. FOA president Peter Weir said part of the problem was most Gisborne forestry blocks were too far from plants that could process leftover wood. “That’s a bigger conversation that’ll take a year or so. If there were markets for this stuff, there would be no wood left on the hill. Fire officials in B.C. are urging campers to exercise caution with campfires this long weekend to prevent human-caused wildfires. The B.C. Wildfire Service says last week’s record-high temperatures, widespread lightning storms and a dramatic spike in wildfire activity show how quickly the situation can take a devastating turn. Kevin Skrepnek, a spokesman for the B.C. Wildfire Service, said Thursday that crews were putting out the fires from last week and that there were no major wildfires of concern, thanks to cooler, wet weather. So far this season, crews have responded to 568 wildfires in B.C., of which about 40 per cent are believed to have been caused by people. A wildfire burning out of control near Hinton, Alta., has more than tripled in size in less than a day, fire officials said Thursday. 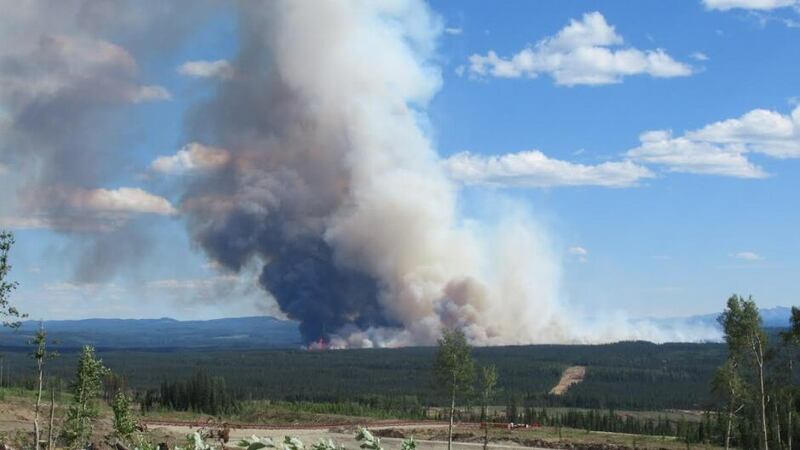 The fire, about 15 kilometres southeast of the town of Hinton, now covers 1250 hectares, up from the 900 hectares reported earlier Thursday, and the 350 hectares reported Wednesday evening, said wildfire officials. “This morning there’s a bit of an inversion which makes it difficult to get a more recent size assessment, so it could be slightly larger than that,” said wildfire information officer Travis Fairweather. An inversion is when a lot of smoke at the head of the fire creates difficult flying conditions for those assessing the fire, he explained. Smoky conditions also make it difficult to use aircraft to fight the fire, Fairweather said. The recent rainfall has dropped the forest fire hazard across the district, but firefighters are still dealing with a number of large forest fires in the area. There are currently 32 active forest fires in the region, 26 of which are either under control, being held or are under observation. Eight of those fires began yesterday, following a cluster of lightning strikes. Of note, there is an 820 hectare fire near Nipigon that began on June 20, and was sparked by a lightning strike. Crews are still battling a 3,200 hectare fire near Sioux Lookout, that began burning on June 24. A 3,739 hectare fire near Red Lake that started more than a month ago is listed as under observation. BEND, Ore. – If it seems like June has been especially fiery around Central Oregon, that’s because it has been. The month’s not even over yet, and it’s already on record as having the most wildfire starts in three years. Most of the fires across the region have been caused by lightning strikes, but a handful were human-caused. According to the Deschutes National Forest, June 2016 brought 64 fires and more than 8,000 acres burned, while June 2017 had 82 fires and more than 16,000 acres burned. So far, June of this year has already had 151 fires and more than 123,000 acres burned in the region. Deputy Fire Staff Officer Doug Johnson said the increase in wildfires is largely due to the environmental conditions. More than 50 firefighters are battling a wildfire in woods near a West Lothian village. Crews were called to the blaze near Falla Hill Place in Fauldhouse at about 17:00 on Wednesday. 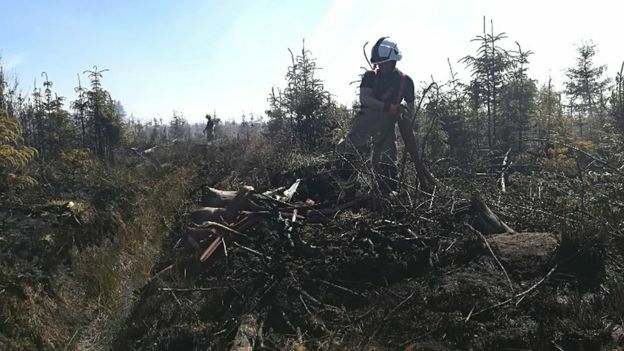 The Scottish Fire and Rescue Service said about 200m of woodland was alight and that the blaze was “proving difficult and challenging” to extinguish. Nine fire appliances are currently at the scene. He added: “The terrain out here is proving difficult and challenging. “We are using aggressive firefighting tactics to extinguish it as soon as possible. “It is very hot out here, but our crews are working very effectively and I thoroughly commend them for that effort.” The officer in charge of the incident, Mark Bryce, said the fire was affecting trees and heavy vegetation.